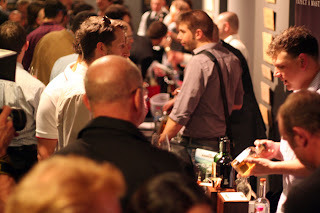 OK so I have finally gotten around to finishing this review of Sydney Whisky Fair 2011. Firstly I want to say thank you to The Oak Barrel for putting this on! Fantastic and clearly filling a niche so required here in Sydney and dare I say Australia. After Whisky Live Sydney's poor attempt to put on even a half decent show last year and the even more monumental failure to even get a program started this year and multiple false starts, Sydney Whisky Fair was the cool breeze of change we have been looking for. Intimate is certainly the first thoughts that come to mind. The Oak Barrel is not very big overall with the shop upfront and 2 events rooms out the back (the Cellar Room & the Cave) plus some amenities down the back stair. Even though we were in such closed quarters ventilation was adequate and did not leave me running for the door gasping for air every 20min, nor then opposite finding myself lingering in an vacant space disinterested and in despair wondering where to go next. Saying that the smell of alcohol was intense when you walked out into the shop (to make some sneaky purchases) and back in again so I am glad no smoking was ensured. 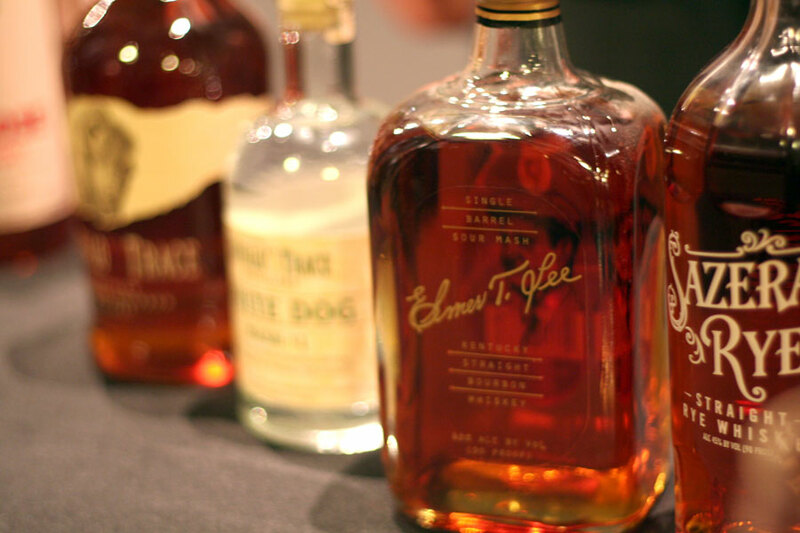 A great range of varied whiskies form Scotland, America, Australia, Japan to name a few and every corner was filled with stalls and bottles. 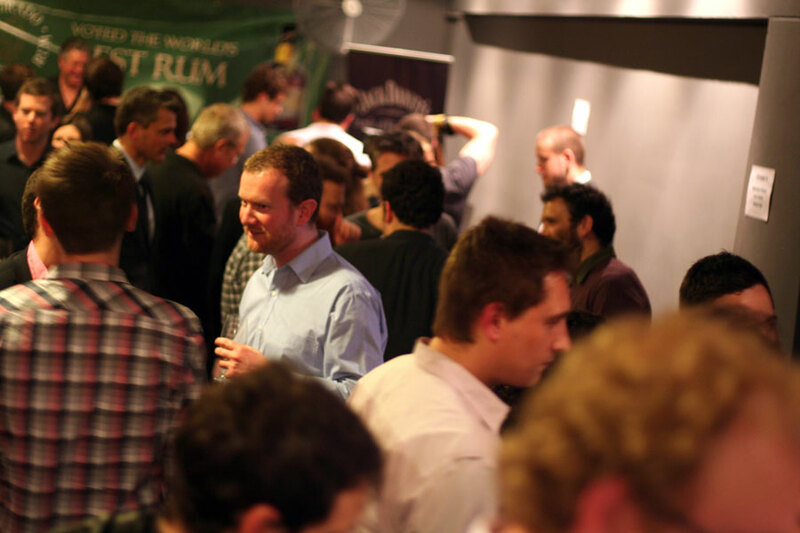 Too much choice is never enough but being relaxed about the whole thing left me only sampling maybe a quarter of what was in the room over 3hrs as I really had a good time talking to distillers and reps alike. Thumbs up to The Oak Barrel for only serving 10ml drams. This is a very respectable amount and not only allows the pallet appreciate more but also helps to control the crowd. I only saw one intoxicated older chap the whole night and I suspect he was drunk before he arrived as he smelled like floor of a bar (why he proceeded to follow me around the room and give his 2 pennies worth is beyond me but some strategic diversions were needed more than once). Even the security was telling me how he will be back for the Saturdays event just to do his own casual sampling. As per usual not all the reps really knew what they were talking (The Jura rep was a massive disappointment) about when you got into the nit and gritty which is always a let down. Not so bad though as several reps really had a passion for the product on show and a big thanks to Patrick Maguire head distiller of Sullivans Cove for a good old chat. Water was in mass supply all night which is a big YES in my books. Can never be too liberal in hydrating the masses. Food on the other hand was not a winner for me. I was certainly led to believe (partly due to my own expectations) to have a variations of nibbles through the night to break up the pallet. Unfortunately on arrival I was offered a selection of cling wrapped (over chilled) bread rolls filled with with either canned salmon, egg, ham, or salad. Egg or salmon during a tasting event… come on is this really what the pallet needs?! Honestly though I had a roll at the beginning and then grabbed a left over roll at the end because I really had to eat after all that whisky. If I had know a bread roll was what was on offer I would have grabbed something more substantial and pallet friendly prior to arrival. Clearly The Oak Barrel has done this before and been happy with the results so what else can I say. The food was not bad it just was not very well suited but I am sure the cost would have had to increase to accommodate anything more. Glasses served were a tad large and heavy but clearly these are the standard wine sampling glass The Oak Barrel use for every event so beggars cannot be chooses as they were clean and sparkly. Outstanding exhibitors supported by outstanding reps & distillers for the night I found were Nikka (Japan), Sulivans Cove (Australia), Bakery Hill (Australia) with a nice cask strength, Buffalo Trace (USA) with the new white dog and Sazerac Rye, and Woodford Reserve (USA) with the Master's Collection. Cheeky purchase for the night was a bottle of Woodford Reserve Master's Collection Maple Wood Finish. An outstanding bourbon which I could not resist buying a bottle (only 4 on offer)! 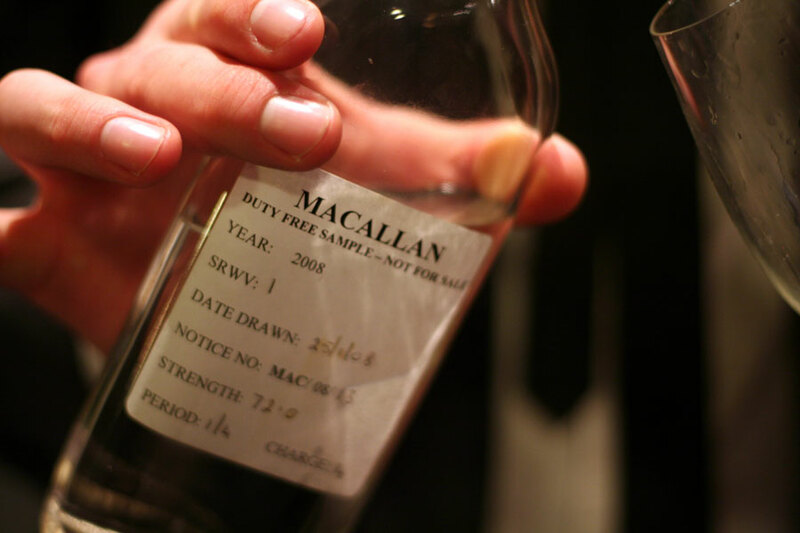 Most exciting encounter was a sample of The Macallan New Make spirit. This was a special treat as it really was only for sniffing and not for tasting. I remembered these guys representing from last years Whisky Live Sydney (the Beam Global boys)when they kindly let me sample the Makers Mark New Make Spirit so I had to ask for a dram of this one too. At 72% it was very sweet like lolly water and the barley was prevalent on the nose. 3hrs was more than enough time to get around to everyone and decide just what you should or should not taste. Master classes though were scheduled during the event and even though they were cheap enough it ate into a good deal of the 3hrs scheduled so I had to avoid going to them. As a rating may I say a solid 5 3/4 out of 7. Well done but the food let me down a wee bit. I will be back for sure no doubt and recommend if your in Sydney next year to make a a point of getting to it also. Really Looking forward to next years event! Until next time may the drams be with you.